If you live in New York City or any other large metropolitan area for that matter chances are finding prime retail space for selling your wares nips the profits out of your sales. Today’s consumers are savvier than ever looking for deals on simple and extravagant products in order to save their money. Unfortunately, for a seller this means that driving up costs to compensate for expensive rents in high visibility areas is not a smart business decision. Selling on EBay can save large or small ventures thousands of dollars a month in bills associated with leasing space and with EBay, sellers have instant advertisement with the “EBay” name alone. If a customer is looking for something rare, chances are they will go to EBay first to check out availability and prices. EBay selling enables any new launching business or established one to brand its name in the global marketplace and build a valid and positive reputation before taking business risks that may include purchasing or renting real estate. Many sellers have been able to continue their business venture using EBay alone whilst maintaining other sources of income because EBay offers a full range of services to buyers. This entry was posted in ebay free cd, ebay selling, ebay store and tagged a smart business decision, business, eBay, ebay selling, New York City, prime retail space, selling on ebay, selling your wares, smart business decision on February 1, 2010 by Steve. After you have picked your niche, set the price, listed the items, and sold an item there’s only one thing left to do, ship the product to its new owner. The shipping costs and method needs to be determined prior to listing an item on eBay for best results. Not selecting a method or forgetting to ask for shipping and handling costs can kill your profit. In addition to shipping the item it is a good ideal to package the item well and insure it so that the customer is happy with the condition of the product when it arrives at their location. Selecting a shipping method involves some considerations. The weight of the product is important. 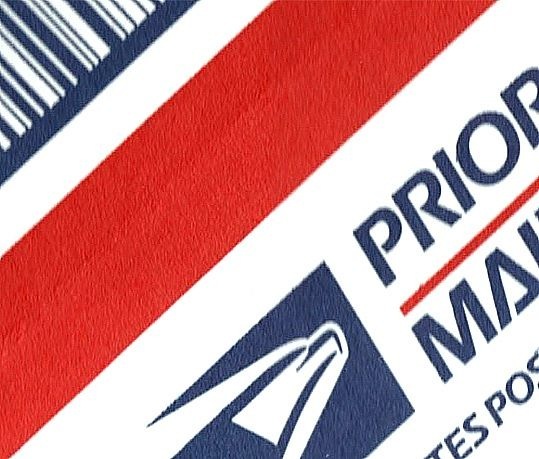 If the product weights less than 25 lbs, the US Postal Service or UPS can be used for simple delivery. Both offer many features that will help you deliver a great product in good condition. When you are shipping multiple items, it makes sense to purchase shipping materials in bulk and only make one trip to the postal office. Calculating the shipping costs can also be tricky. A fixed price is often used and is the simplest method. The other option is calculating the costs using a rate calculator provided by eBay. The calculator will be available to the bidders so they can compute the costs prior to bidding. Free shipping can be an enticing offer that might create additional interest in your items. eBay makes suggestions for shipping to it’s members but you can decide on any method you desire. The most popular methods are UPS, UPSP, FedEx or DHL. Bulky or odd shape items are best delivered by FedEx Ground. Packaging supplies and your time to ship the items should be considered in the handling fee. Using bubble wrap and packing peanuts is a good ideal but can increase the costs slightly. For starters, letting UPS package your item at one of their stores can help in ensuring it arrives safely. Leave nothing to chance when it comes to shipping and paying for shipping. This entry was posted in ebay selling, ebay store, shipping and tagged eBay, fixed price, listing an item, method, packing peanuts, picking a niche, product, rate calculator, selling on ebay, setting the price, shipping and handling, us postal service on November 29, 2009 by Steve. Learning the Insider Secrets that Will Make you a Power EBay Seller is Easy! Being an EBay auctioneer is easy and is a proven way to earn extra money from your home. Many people start out selling on EBay and within just a few months are able to quit their day jobs and work EBay fulltime. Each day, EBay logs millions and millions of visitors and as their reputation for being the best online selling site ever created will automatically match you up with buyers who need and want your products! Luckily, this is not a private industry where the selling secrets to success are hidden. In fact, you can learn everything you need to know about selling on EBay by using any of their quality learning tools. Learn the Basics of EBay Selling without Emptying Your Garage! Many people think that they have to have a garage full of products in order to sell on EBay. That is a misconception. If you can become a power seller there are tons of business models that will hire you to sell their stuff. Essentially you can become the captain of a ship that makes a lucrative income off of other people’s stuff. No products to store in your home, no shipping responsibilities and best of all – pure profit to you. The inside information is easy to come by and you can choose a free guide like EBay VIP’s Sellers Lounge or the free trail of the eAuction Expert that will show you the ropes. There are many people earning thousands of dollars a month through EBay. With all the online scams there are; it is time to go with a name you trust and begin using the exposure of EBay to make your financial dreams come true. Ways to make Money Online through Sales! This entry was posted in ebay selling, power seller and tagged Assistance, auction, eBay, ebay auctioneer, eBay Marketplace, ebay power seller, ebay sellers, GSI Commerce, how to ebay, john donahoe, Online shopping, paypal, Power, power seller, SaleHOO, Sales, selling on ebay, Servers, Shopping on October 9, 2009 by Steve. Learn How to Earn Extra Income with Reputable Organizations Like EBay! Whether you have a job or not; there is a chance that you are looking for something else to help you earn extra money. In this wavering economy there are a million reasons to explore all the employment options available; some of which you can do from your very own home. The onslaught of unemployment has sent people scouring the internet for work at home jobs which very often turn out to be scams. How about working with an organization like EBay; learning how to be your very own auctioneer, making money online – at home without having to invest extra time or money? What is EBay Auction Selling? EBay is by far the most advanced and comprehensive online auction site around and millions of people are marketing their products, earning lucrative incomes from the comfort of their own home. Whether you choose the EBay VIP Sellers Lounge for free or the E Auction Expert Edition you will instantly learn insider secrets and gain valuable advice on the best ways to sell your products and make more money each month. The software helps you to easily set up a website and build your EBay presence so that you can quickly become a reputable seller on EBay. You can choose to open an online auction store of your own selling other peoples products or can sell your own products! EBay offers unprecedented flexibility that can be tailored to your interests! This entry was posted in ebay free cd, ebay selling and tagged Assistance, auction, Craigslist, E Auction, earn extra money, eBay, ebay store, extra income, free cd, GSI Commerce, how to ebay, john donahoe, making money online, Money, Online auction, Online auction business model, online auction site, paypal, sell on ebay, selling on ebay, Servers, Shopping, work at home jobs on October 9, 2009 by Steve. With Our eBay Kit, Making Money Is As Easy as 1 2 3… Start Making $1000, $5000 or More on eBay Now! Never worry about a job again. Start making more money with an eBay VIP Kit! Try It FREE! A complete eBay online business solution! This offer is an all-emcompassing eAuction Expert eBay home business starter kit that includes the creation of your own website, web editing software, the “eBay Profits Made Easy” eBook, and a membership to a product club where you get products to sell on your website. Comes on a 14-day free trial ($4.95 S&H). NHL autograph card lot of 50, Last Chance! This entry was posted in ebay selling and tagged Apple, Assistance, auction, Auctions, business starter kit, eBay, Google, GSI Commerce, how to ebay, Kit, my ebay, paypal, Pinterest, sell on ebay, selling on ebay, Servers, Shopping, web editing software, Windows on October 9, 2009 by Steve.